Left inspired by one of the writing workshops which we delivered to the Highland Probationers on Saturday, it left me thinking, how are we creating a love for writing in our classrooms? Journaling is a creative technique which draws together the skills of reading and writing, combined with artistic flair. 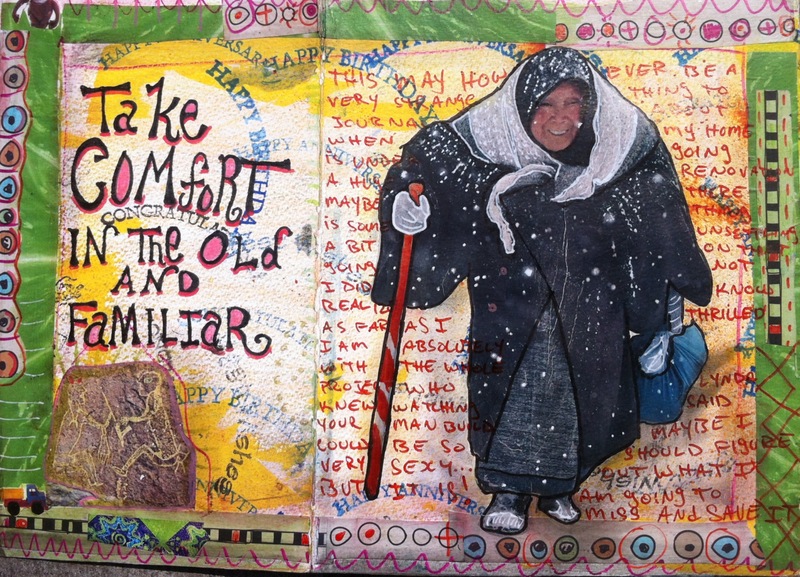 Following this, our practitioners used the journaling approach to create visual representations of themselves as practitioners in the year 2046, linked to the theme of the poem. How could you use journaling in your classroom? This entry was posted in Uncategorized on February 24, 2016 by Mr Cook.